Top Ten Books I HAVE to Read! Let's Discuss - Find a Co-blogger or Go It Alone? Well, I did it. I actually moved over to Wordpress. I've been considering this move for a while, but I was too nervous to actually do it because it just seemed so overwhelming and I didn't want to have to deal with a new design - plus I was afraid of losing followers! Well, thanks to Ashley over at Creative Whim and her Tweak Me theme, I was able to pretty much keep my design with just a few changes. Plus, her Ultimate Blogger Plug-in has made the move to Wordpress worth it already! Hopefully, if you follow me by email or Bloglovin' you'll be moved over to my new blog seamlessly. If you're a GFC or Networked Blogs follower, I hope that you'll head on over and visit the new site and follow there! Looking forward to visiting with you on the new improved site!! Summary from Goodreads: Sometimes the heart sees what is invisible to the eye. Faced with the scariest decision of her life, Missy is going behind enemy lines to save the rebel that seems to haunt her every dream. Finding courage is one of the hardest things she’s ever done, especially when she comes face-to-face with a terrifying reality. The green eyes that have fascinated her, no longer gleam with recognition. Now Missy must find a way to not only get them out alive, but to save the mind of the man who is quickly capturing her heart. And she must do it all without getting caught. Put to the test, will Missy be able to rise above her fears and find love, or watch it all blow up in smoke? *This book is for mature audiences due to sexual situations, violence and strong language. 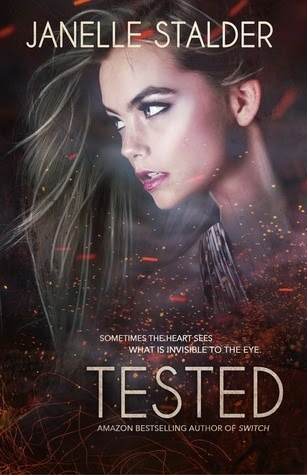 Tested is the newest book in Janelle Stalder's New Adult Dystopian New World series. This installment brought together Missy and Tyler (who we got glimpses of in the last book). Missy and Tyler. Despite the fact that Missy and Tyler started out with a bit of instalove (but that was started in the last book, so I didn't have to dwell on it here) and the fact that Tyler was not really himself for part of the book, I found myself really rooting for them as a couple. 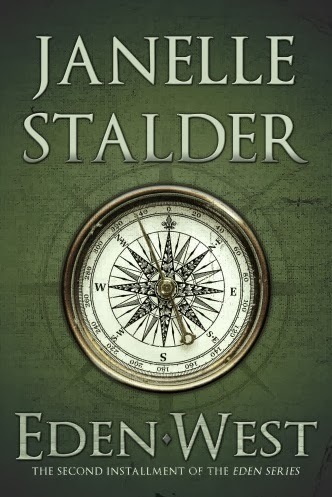 Stalder had a tricky job here because she had to show us Tyler's angry, almost monster-like side and still allow us to fall for him. Even when Tyler was living on pure testosterone and instinct, his instinct was to protect Missy. On the other hand, Missy started out as a very timid character, but managed to find her strength throughout the book. And her timidity was based on the fact that she was recovering from an incredibly traumatic past. I thought that the tension between what Missy wanted with Tyler and her fears of men in general were portrayed really well. Trent and Phoenix. In the second book in this series, we got a glimpse of the animosity between Trent and Phoenix - these two were always at each other (and you kind of had to wonder if it would develop into something not so antagonistic). Well, in this book, we got to see LOTS more of these two and there were even more hints at something in their future. I won't spoil what happens, but they get thrown together - and their story leads us into the next book. 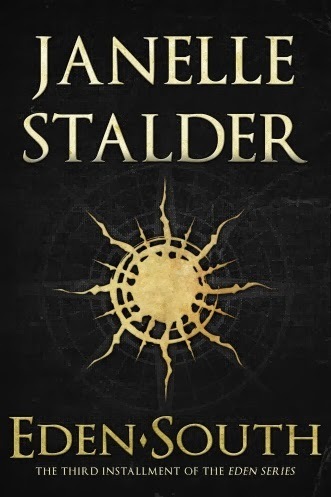 I love that Stalder finally started one of the couples out with something other than an instant connection (which has been my main complaint about the romances so far). The war. Of course, we also got to see more of Ludwig and the different rebel factions. It seems that there are quite a few unknowns out there still - Ludwig definitely isn't the only enemy! Unbelievable circumstances. Okay, there were parts of this book where I was scratching my head a bit. 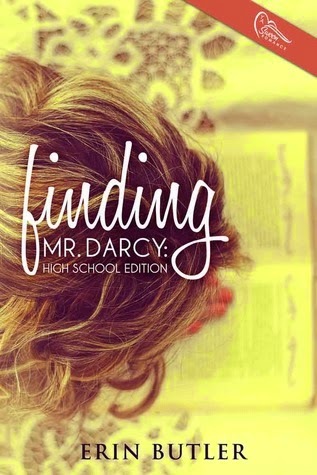 As the synopsis says, Missy infiltrates the enemy in order to try to save Tyler. Except there were times where she just didn't seem to be hiding all that well. At a few points, Missy is asked to put herself in potentially dangerous situations - where she should have felt frightened of BOTH Tyler and the people asking her. She agrees with very little persuading needed. It just didn't make sense to me - surely this should have been a major red flag for the people she was supposedly trying to fool. I don't know why they would even ask her to put herself in the situation in the first place - without a reason (the desire to save Tyler), why would anyone ever say yes? People occasionally seemed slightly suspicious when she agreed over and over again to put herself in harm's way, but not nearly enough. I really had to suspend disbelief in some of these parts. 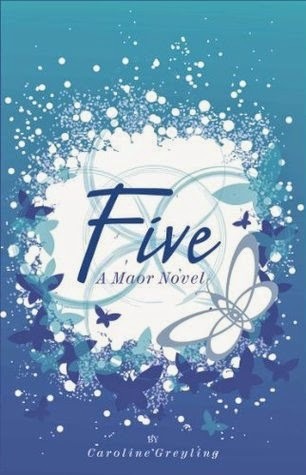 This was another strong book in the series and it definitely left me wanting more. 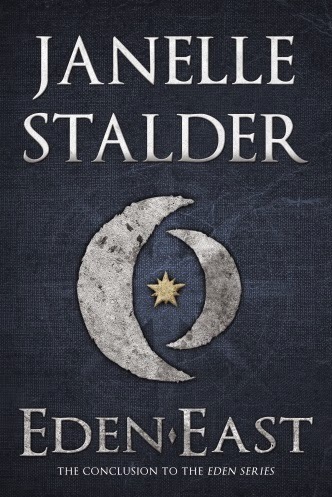 I can't wait to see what Stalder does in book #4! 4/5 stars. 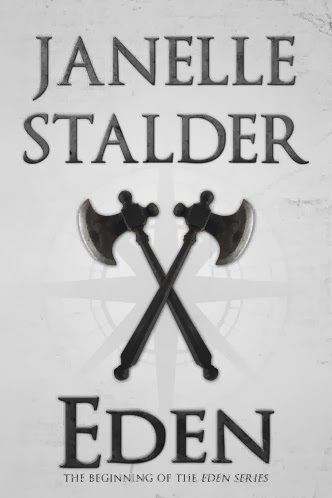 Janelle Stalder was born and raised in Brampton, Ontario. At an early age she developed a love for literature. 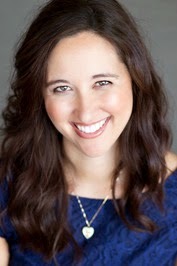 Her debut novel, Eden, was the first book in a series of four, released in September of 2011. Since then she has released an Adult Dystopian Romance series, the New World Series, hitting the best sellers list on Amazon. She has also released a Mature YA/NA novel, Brush Strokes, that stayed on the best sellers list for contemporary romance for sixteen straight weeks. 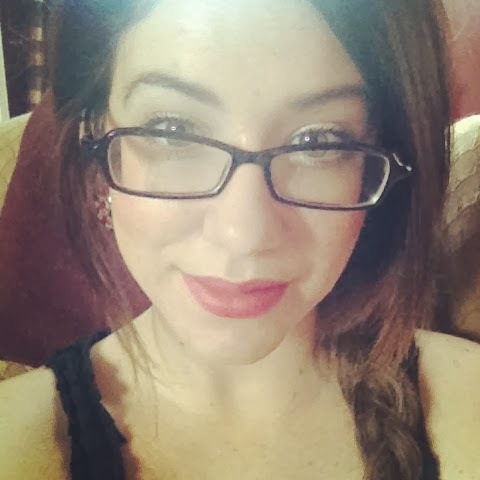 She is a strong supporter of other independent authors, and loves to interact with her readers. When she's not writing, Janelle is at home with her husband, two children, Aiden and Elora, her little bun in the oven that is on the way, and her two furry children, Alice and Lily. She now resides in a small town in Ontario in her old, possibly haunted, century home. 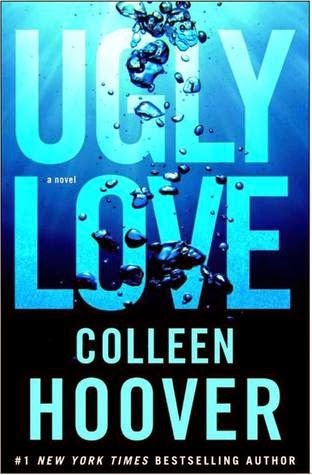 Trapped within the cruel world of hormones and bullies, fifteen-year-old Aiden is convinced life has more to offer him. His instincts are proven correct on the night he is awakened by a voice calling to him from outside his window. As he sleepily peers into his yard, his eyes slowly focus on a woman who says she is there to take him to Eden. Aiden is about to fulfill the life purpose he never knew he had. 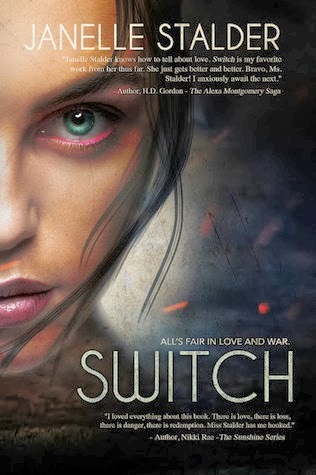 It is in Eden, a land on the brink of war, where Aiden will finally learn to trust himself and those around him. Accompanied by Wolf, his sidekick Logan, and the beautiful archer, Elisa, Aiden is soon thrust into a battle to save Eden. Meanwhile Elisa, the only girl in the King's Army, is in the midst of her own struggles. Betrothed to a man she has no intention of marrying, Elisa is caught between the need to prove herself and her desire for true happiness. And now that she has met Aiden, she is more confused than ever. In this action-packed fantasy tale, romance, adventure, and intrigue surround Aiden as he learns just what he is capable of when he discovers confidence and courage. New beginnings, new conflicts, and new adventures arise in the second installment of the Eden Series, Eden-West. Months after his initial journey to Eden, Aiden is learning to cope with his own transformation. 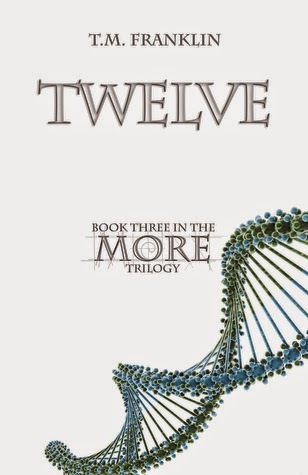 His social status has changed, his friendship with his best friend Ethan is in jeopardy because of it, and worst of all, he has heard absolutely nothing from his new friends in Eden. What has become of the world he fell in love with? Are his friends safe? Is the war over? With no answers, and no hope for contact, Aiden decides to focus on his life in his world. Just as he makes this decision, he encounters a familiar bright light and thinks he knows exactly what it means. Except the light isn't at all what he expects and neither is the person behind it. When Aiden returns to Eden, it is to a whole new part of that special world, and a whole new set of adventures. Weeks after Aiden was returned to his own world, Elisa is sent to Nysa, the revered Southern city, to retrieve the one thing she'd rather avoid - Wolf. Captain Turk instructed her to get in and get out - but that is easier said than done. When she finds her missing friend, she also stumbles upon a great deal of trouble. This trouble goes by one name - Markus, the leader of the Sun People. Follow all your favourite characters as they ready themselves for battle and fight for a world threatened to be destroyed. The betrayal that tore a family apart. Two brothers bent on destroying the other. A whole world on the brink of war. Aiden has been through his second battle in the magical world of Eden. The victory is short lived and Aiden is sent racing toward his friends in the Capital. After being back in Eden with the Riders, he is eager to reunite with Wolf, Elisa and Logan, although he doesn’t realize just what he’s returning to. Surprises await him when he arrives in the Capital; his close-knit group of friends is slowly falling apart. On top of it all, another battle is just around the corner, one that will change everything. Rain has made her choice, and now she is in some unknown fortress with the feared sorcerer, Aziz. She wants nothing more but to please him, but being his Queen isn’t as easy as she thought. While trying to learn sorcery, and dealing with Aziz’s advances, Rain is finding her new life a bit overwhelming. Just when she thought it couldn’t get worse, she discovers a secret of Aziz’s, and it is nothing she could have expected. Rose has supported Callum throughout their journey, but now that the final battle is just around the corner she is faced with a hard reality. Everything she has gained with him could be taken away. Is she willing to live the rest of her life without him? Can she just stand by while he destroys everything, including himself? Will he ever be able to find peace? Will she? In the third installment of the Eden Series fates will be decided, and the battle between brothers that has been a decade in the making will finally come to an end. Only one of them can be High King. New life, new deaths, and truths revealed. Everything ends now. In the final installment of the Eden series, the King’s army prepares for their biggest battle yet. Aiden and his friends set out to find Aziz in his hidden mountain fortress and bring the war in Eden to an end. But secrets are being discovered along the way, and the weight of them could ruin lives. Aiden is coping with loss and the need for vengeance, as well as changes in himself he doesn’t quite understand. Thousands of lives are depending on him to stop Aziz once and for all, and this time Aiden is more than ready and confident he’ll be the one to do it. The stakes are higher than he ever anticipated on his journey east. Elisa is embarking on a new phase of her life. She has the man she loves beside her, their group of friends have become stronger, and the end of war is in sight. Now she just needs to see it through so she can finally have her happily ever after. But she knows the truth that the others don’t, and it will test her loyalty and friendship more than anything ever has. With two brothers side by side, and an army ready for war, the only thing left to be seen is who will live and who will die. Welcome to the thrilling conclusion of your journey into Eden. Two thirds of the world's population has been wiped out, devastated by the worst war earth has ever seen. Still standing amongst the ruins is a mind reader who finds herself on the wrong side of the war. Everyone does what they must to survive. When the rebels bent on bringing down the New World leader start to rise up, it is her job to make sure they stay down where they belong. That is, until one rebel sneaks past her defences and into her heart. Love will blossom from the ashes, but will it be enough to save them, or will it mean the end of them both? New Berlin, 2040. Rebels prepare to fight against the New World Order, bent on bringing down the world’s greatest tyrant. One girl wanted nothing to do with it, content to keep her head down and make the best of this new world. That is, until she has no choice but to work with the rebels and infiltrate the NWO headquarters. Every moment she spends there puts her in danger, especially when one man, the second in command to the New World leader, continues to make his way into her every thought. She must stay focused and protect not just her mind and body, but also her heart. 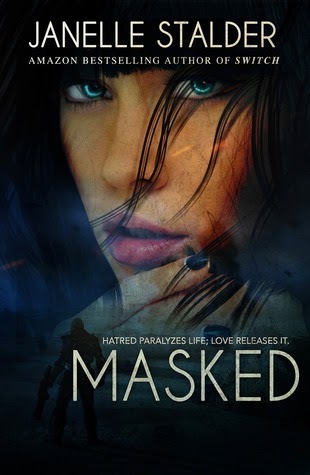 Will she be able to complete her task without being unmasked? Or will the one man standing in her way ruin it all? Art student, Olivia Banks, was living her dream at an exclusive school when everything came crashing down around her. Now back in the small town she grew up in, she's forced to spend her senior year at her old school where she's known as the 'freak', all because she'd rather focus on her painting than the trivial drama of high school. But things aren't the same as they were when she left. And the one thing that is turning her life upside down the most just happens to be the resident bad boy, Colt Morgan. Her senior year was supposed to fly by so she could pack up and leave again, but what happens when there's suddenly a reason to want to stay? Summary from Goodreads: Inconsequential: not important or significant. In the world of genetic mutation, Gypsy’s talent of knowing a person’s age of death is considered a failure. 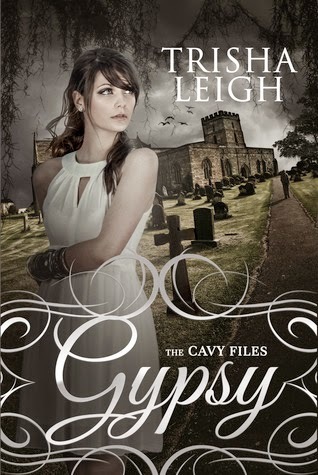 Her peers, the other Cavies, have powers that range from curdling a blood still in the vein to being able to overhear a conversation taking place three miles away, but when they’re taken from the sanctuary where they grew up and forced into the real world, Gypsy, with her all-but-invisible gift, is the one with the advantage. The only one who’s safe, if the world finds out what they can do. When the Cavies are attacked and inoculated with an unidentified virus, that illusion is shattered. Whatever was attached to the virus causes their abilities to change. Grow. In some cases, to escape their control. Gypsy dreamed of normal high school, normal friends, a normal life, for years. Instead, the Cavies are sucked under a sea of government intrigue, weaponized genetic mutation, and crushing secrets that will reframe everything they’ve ever been told about how their "talents" came to be in the first place. When they find out one of their own has been appropriated by the government, mistreated and forced to run dangerous missions, their desire for information becomes a pressing need. With only a series of guesses about their origins, the path to the truth becomes quickly littered with friends, enemies, and in the end, the Cavies ability to trust anyone at all. Gypsy was taken in as a baby by a secret group that shelters (and experiments on) children with abilities, who they've dubbed the Cavies. But while Gypsy's friends have impressive abilities like invisibility, super speed, and the ability to set things on fire, Gypsy can only see the age at which someone will die when she touches them. This ability is not only not particularly useful, but it makes Gypsy constantly feel like she's walking among the almost-dead. She would love nothing more than to live a normal life. But when the Cavies are "rescued" from their captors and forced out into the real world where they have to pretend to have no abilities at all, Gypsy suddenly isn't so sure how well she can adapt to the outside world after all. To make things more complicated, just as Gypsy is settling in, someone attacks the Cavies and injects them with a virus that increases their powers. They suddenly discover that the people who held them are not the only ones who know about their abilities - and that they may have more enemies than they realized. Superpowers! I loved the idea behind this story. Gypsy and her friends have been raised by some secret group that is constantly pushing them to the limit of their abilities. Of course, you have to wonder who these people are and what they're training the Cavies for. And the idea of teens with superpowers has always been a favorite of mine - what teen doesn't wish that they had them! The characters. Leigh did a great job of creating characters who I was invested in. Each of the Cavies had their own, distinct, strong personalities and they all dealt with the transition to the "real world" in their own ways. My favorite of the Cavies was Mole, Gypsy's best friend (and possible love interest?). I loved the bond between these two characters. Once Gypsy gets out into the real world, she meets Jude, another one of my favorite characters. While there isn't a huge romance in the book, there is definitely a little bit of a love triangle with Mole and Jude (with small hints of a quadrangle with another character as well - I wasn't so crazy about him - I'll talk more about him later). Discoveries. Throughout the book, Gypsy and the other Cavies make quite a few discoveries about themselves - their families, their backgrounds, the people who raised them. There are tons of mysteries that unfold throughout the book and I really enjoyed discovering the many pieces of the puzzle that came together. The Cavies never quite knew who to trust, and I was never sure either! Family relationships. This book explored family relationships and what makes people bond as a family. The Cavies have been the only family that Gypsy has ever known and when the group is torn apart, needless to say, they go through a difficult transition. On top of that, some of them have newfound family members and they suddenly have to navigate those new relationships - it can get pretty complicated and overwhelming! Dane. Dane is the one character that I wasn't crazy about. Gypsy immediately became friends with him when she started at her new school and it just seemed way too obvious that something was going on with him. I didn't get why Gypsy wanted to trust him so much and his motivations never made a lot of sense to me. Plus there were hints that Gypsy might have felt an attraction to him as well, and I didn't really see it or want the triangle to turn into a quadrangle. Parts of the storyline that involved Dane seemed a bit unbelievable or forced to me, but it didn't ruin the book as a whole. If you're looking for an interesting new YA paranormal book, then I'd recommend picking Gypsy up! With fun characters and lots of surprises, this one was a winner! 4/5 stars. The Sunday Post is a weekly meme hosted by Kimba @ Caffeinated Book Reviewer ~ It's a chance to share news~ A post to recap the past week on my blog and share news about what's coming up in the week ahead. Top Ten Books I HAVE to Read - The books that get recommended to me most often. Clear Your Shelf Giveaway Hop - Enter to win one of 11 different books (3 winners!) and then follow the hop to win lots more! Guardians: The Girl by Lola StVil (blast & giveaway) - Still time to enter to win a $50 gift card! Thanks to The Flannel Flower! Time Return and Time Lock by Micah Caida - Still time to enter to win lots of awesome prizes! Sunset Rising by S.M McEachern - Still time to enter to win a $50 gift card! The Artful by William Stanton - Still time to enter to win the ebook copy! Icey Books - Giving away a whole box of YA books! The Werewolf Academy Series - Book Lover's Life is giving away the first two books in the series. 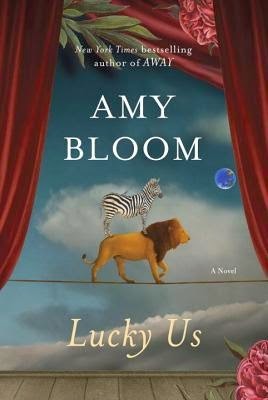 Lisa Loves Literature - Lisa's having her 5th blogoversary giveaway! Lots of good stuff! Have any giveaways running on your site right now? Feel free to share them in the comments! 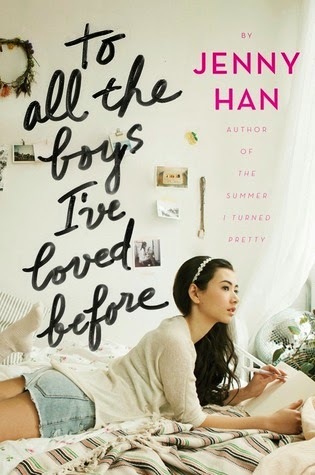 Summary from Goodreads: To All the Boys I’ve Loved Before is the story of Lara Jean, who has never openly admitted her crushes, but instead wrote each boy a letter about how she felt, sealed it, and hid it in a box under her bed. But one day Lara Jean discovers that somehow her secret box of letters has been mailed, causing all her crushes from her past to confront her about the letters: her first kiss, the boy from summer camp, even her sister's ex-boyfriend, Josh. As she learns to deal with her past loves face to face, Lara Jean discovers that something good may come out of these letters after all. I really wanted to loved this book. I had read so many raving reviews and it sounded like the type of sweet romance that would make me happy. But, for some reason, it fell flat for me. I enjoyed parts of the book, but I was never quite behind the romance. And once the book was over, I was left with a sort of "Was that it?" feeling. When Lara Jean's secret love letters somehow get mailed, it turns her life upside down. The worst letter is the one that she had written to her sister's (newly) ex-boyfriend. She knows that her crush on Josh could cause her, Josh and her sister all pain. So, in order to cover up her feelings for him, she pretends to be dating someone else - another recipient of one of her letters (her first kiss, Peter). Peter agrees to the arrangement because he wants to make his ex-girlfriend jealous. The family relationships. Despite the way it sounds, this book wasn't just about the romance. In fact, in my opinion, the best thing about the book was the complexity of Lara Jean's family relationships, especially with her older sister. Lara's older sister has spent much of her pre-teen and teen years filling in for their mother, who died. This has created a really interesting dynamic between the two girls - both bringing them closer, but also causing Lara's sister to bottle her emotions in many ways. Lara's little sister is also a wonderful character and I loved the sweet way that both Josh and Peter bonded with her! The love triangle. This was my real problem with the book. The romance. Don't get me wrong - there were points where I was enamored with both Josh and Peter and I saw how they could be good for Lara. But with both guys there was something major that just made a relationship with Lara feel ... wrong. With Josh, his relationship with Lara's sister was an obvious barrier. Something that just wasn't able to be overcome. For Peter, I had more hope, but his attachment to his ex-girlfriend just made me squirm and I could never quite get behind him and Lara together. I wanted to root for one of these guys, but I just never completely got there. The ending. The ending of this book left me a bit cold. It just didn't feel like anything was really resolved. We're told that Lara has a feeling that everything is going to be okay - and then it ends. Um, okay? I wasn't convinced. BUT, I will say that I was surprised to see that there is another book - so maybe this book was left this way as kind of a cliffhanger? I will read the next book to find out what happens next and to see if Han develops the romantic relationships more. So, I guess I wasn't as enamored with this book as I wanted to be. I liked it, but didn't love it. There are plenty of people who did love it, though, so I definitely wouldn't dissuade anyone from reading it. For me, it was 3/5 stars. Want another opinion? Check these out! Summary from Goodreads: Roshar is a world of stone and storms. Uncanny tempests of incredible power sweep across the rocky terrain so frequently that they have shaped ecology and civilization alike. Animals hide in shells, trees pull in branches, and grass retracts into the soiless ground. Cities are built only where the topography offers shelter. 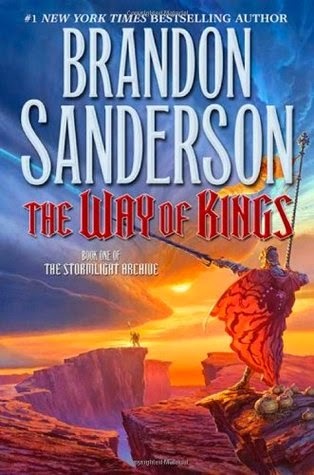 I am ashamed to admit that this was my first Sanderson novel (unless you count the final books of the Wheel of Time series, which I don't). It definitely will not be my last. This book is HUGE at over 1000 pages, but it's definitely worth it - plus I got a workout just holding it! Thanks so much to Kritika over at Snowflakes & Spider Silk for organizing a read-a-thon because I don't know when I would have braved this book if I was on my own and I would have been completely missing out! There is so much to this book that I don't even know how to begin summarizing it - so I'm just going to leave it to the synopsis to do that. Suffice it to say that there is a lot going on and that it's all fascinating! The worldbuilding. Sanderson is a master - he has created a complex society with its own unique rules, norms and peoples. I especially loved how Sanderson attacked gender roles and turned them upside down in some ways while keeping them familiar in others. His society also had its own set of racial prejudices that were explored (and often debunked), which I loved. Then there was the rich history and mythology of this world, which was all woven into the story so expertly - I never felt overwhelmed or overly confused (even though there were definitely some mysteries that unfolded throughout the book). The magical elements. This goes along with the worldbuilding, but I thought it deserved it's own category. Like any good fantasy, there was lots of magic in the world that Sanderson created. Little sprite like creatures called spren that gathered whenever there was an abundance of a specific emotion or element (one of whom becomes an important character in the book), suits of armor that give the wearer incredible strength and speed, swords that slice through any substance as though it were butter (except flesh - which it doesn't cut, but "deadens" instead), soulcasters that can transform objects into almost anything, magical storms that kill but can also be used for power ... I could go on and on. There were so many fascinating details that I couldn't begin to name them all! The characters. I fell in love with nearly all of the characters in this book. I was drawn in by the fact that they were all flawed in some way, but they each struggled to make their way in a world that strove to destroy them. There were quite a few characters that we got to know well. Shallan, who struggled between rescuing her family from destitution and holding on to her own dreams and to her sense of right and wrong. Dalinar, who strove to bring honor and unity to his kingdom, but struggled constantly with the fear that he was losing his mind. Kaladin was definitely my favorite character - I loved how he slowly regained his faith in humanity after it had been nearly obliterated. His journey and growth was probably greatest, and I loved every minute of it! The ending. Sanderson threw in quite a few huge revelations at the end of the book and I am excited to see where they lead! I can definitely see how Sanderson has earned his place as one of the greatest fantasy writers of all time. There is no doubt in my mind that I will be reading more of his books. I give The Way of Kings 5/5 stars.